Digital trends and technology are constantly evolving. As a marketer, if you not keeping up you will never be cutting edge. The discipline of SEO is probably one of the fastest changing industries have ever had the pleasure of working in. But being a great SEO means there's no time for slacking! Google is constantly working against us and set on making our lives difficult! 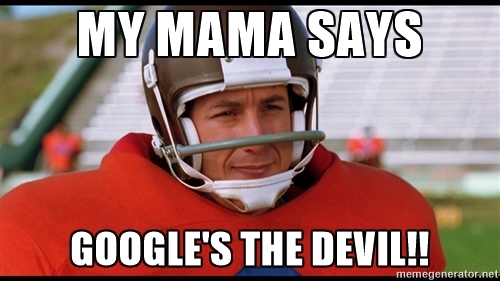 Like the great Bobby Boucher's mother would say, " Google is the devil!". It's also a pretty young discipline and any course you do is never going to give you the same amount of insight you can get from learning from the great wizards of SEO themselves. The easiest way to keep up with bigs shots and Google is by dedicating a part of your life to reading their life's work a.ka. the best SEO blog/resources you will find. This may sound like loads of work, but it's a small price to pay to stay on top of your game. Here's a list of the top SEO blogs you will find! All the latest news on keyword trends and how they tie in with technology. Marketing research and digital trends. SEMrush's digital marketing blog is an innovative resource for content strategy, content marketing, SEO, SEM, PPC, social media and more. This blog is written by the famous Neil Patel who is the brains behind great products such as Crazy Egg. It's dedicated to making the content better and helping users get more traffic to their sites through best practice and tactical SEO. In-depth training guides, long-form content reports and blog posts from the Distilled team. Topics include SEO, mobile, social, CRO and PPC. A great resource for the well-rounded SEO. If you have anything to add or would like to know about SEO, comment below or contact us here!